Mark Vess shows off his most recent acquisition, a beautiful and extensive collection of antique radios that belonged to amateur radio operator Bruce Hayden, of Raynham. Mr. Hayden recently passed away and bequeathed his collection to Vess. Massachusetts is home to many museums devoted to subjects that stretch beyond the standard topics of history and art. We have a museum devoted entirely to golf. There are institutions dedicated to plumbing, printing, quilts, paper, and pirates. You can even find exhibitions of burnt food, airsickness bags, and Tom Thumb memorabilia. 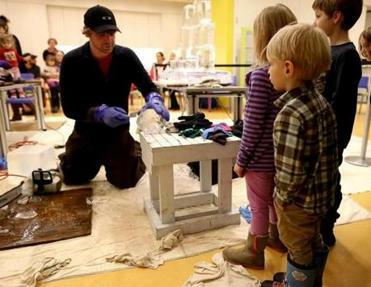 “There’s certainly a lot of museums that are unusual,” said Dan Yaeger, executive director of the New England Museum Association, a trade group based in Arlington. Look around, and you can find unique institutions that focus on “what you wouldn’t normally think of,” he said. 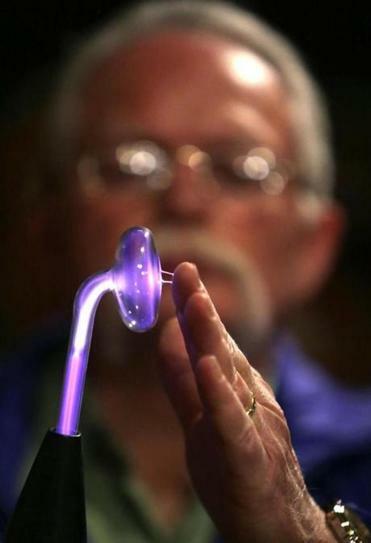 Mark Vess demonstrates a "Master Violet Ray" Quack Medical Coil which emits a series of small electrical shocks purportedly for treating anything from headaches, stomachaches, and muscle pain to more serious diseases such as cancer and various infections. 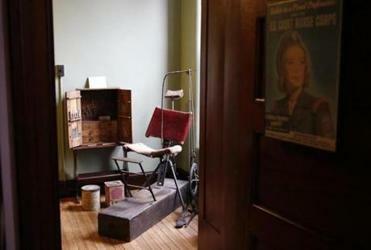 Vess started the Museum of Antiquated Technology in his farmhouse many years ago. It’s probably no surprise that we have many peculiar tourist attractions in our backyard. After all, New England has the highest per capita concentration of museums in the United States, according to Yaeger. Here, there are 12 museums for every 100,000 people. The national average is 5.9 per 100,000. Almost every community in Massachusetts is home to a museum of some kind. Some are grand institutions. Others are small operations run by volunteers on a shoestring budget. Area museums, even those not specifically child-oriented, are bending over backward to make themselves interesting and fun for family members of all ages. But regardless of size, or topic matter (no matter how obscure), they are worth exploring. Many hold unexpected treasures and curiosities that could be worthy of the Smithsonian. Yaeger points to the Dedham Historical Society & Museum as an example. It boasts a prized piece of furniture: the 1652 Metcalf great chair. It’s the oldest dated American-made chair in the country. The wooden chair is carved with the date 1652 and the initials “MM,” which indicate that it was made for Michael Metcalf, a respected citizen of Dedham. This ornamental design is on the Green Earthenware Nautilus, 1891, by W.C. Cooper Brass Works at The Plumbing Museum. The Middleborough Historical Museum is known to many as the Tom Thumb Museum, because it features the child-sized clothing and tiny personal items of Charles Sherwood Stratton, the 19th-century celebrity whose stage name was General Tom Thumb. 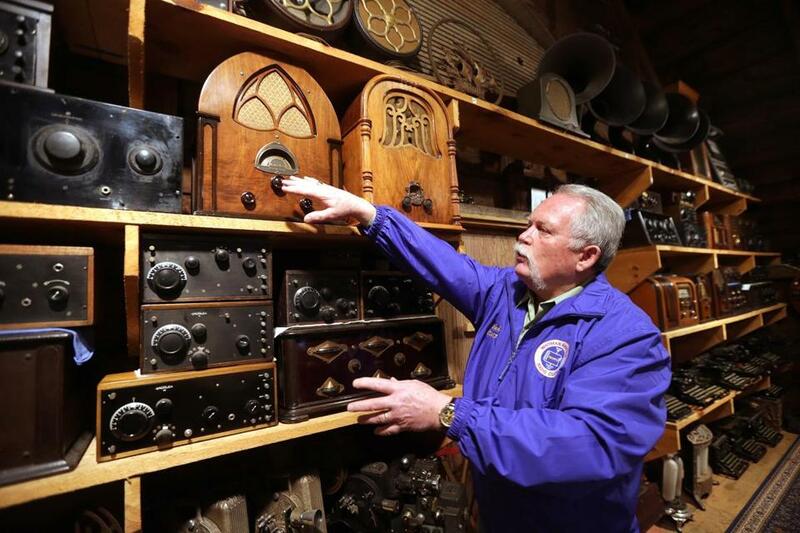 In Hanson, the Museum of Antiquated Technology is home to a vast collection of rare antique radios that are being displayed to the public for the first time, according to Mark Vess, the museum’s 63-year-old founder and owner. They were previously owned by Bruce D. Hayden of Raynham, who bequeathed his collection to Vess at his death in October. “You’re capturing 60 years of radio development here,” said Vess, pointing to the shelves full of radio sets in his museum, located on the second floor of his circa-1840 farmhouse in Hanson. The place is packed with vintage telegraph keys, television sets, cameras, hearing aids, phonographs, radios, movie projectors, and computers, many of which still work. This riveting cornucopia of outdated machinery provides a hands-on experience of the evolution of technology from the 1800s up to the 1960s. “This is a teaching museum,” Vess said. 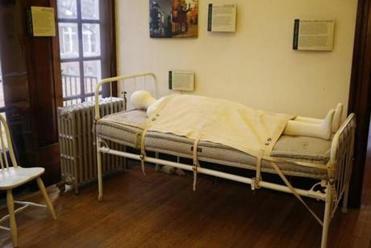 A full body restraint is on display at the Public Health Museum in Tewksbury. What was known as Insulin Coma Therapy was used to treat patients with mental illness such as schizophrenia. He opened a box containing a wand-like device called the “Master Violet Ray.” This obsolete medical device was once used to treat a variety of ailments, such as arthritis, acne, dandruff, sciatica, and gonorrhea. Vess plugged it in, and a bright purple electrical current glowed through the clear glass. He touched his finger to the glass, and it made a crackling, zapping noise. He also demonstrated an Edison cylinder phonograph. He wound it up and played a wax cylinder recording of a ragtime song called “My Brudda Sylvest.” The recording dates to 1908 and still plays perfectly today, amplified by the elegant horn-shaped speaker. Vess said his museum gets a few dozen visitors a year, mostly amateur radio enthusiasts (he is a ham radio operator himself), antique radio enthusiasts, car clubs, and Cub Scout troops. Antiquated technology is “a pretty obscure subject,” he said. Administration Building of Tewksbury Hospital, it bills itself as the first museum of its kind in the United States, and features exhibitions on infectious diseases, old-fashioned dental and medical instruments (bloodletting, anyone? 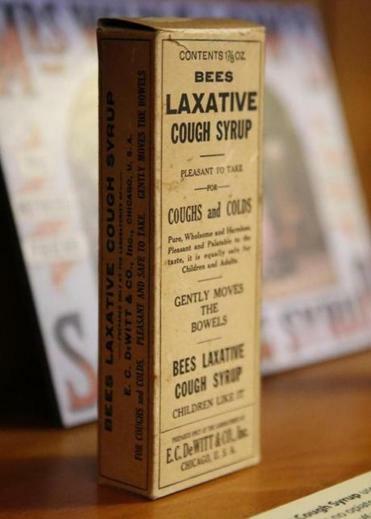 ), patent medicine bottles, and an iron lung. There are also different kinds of restraints, and a red, white, and blue baseball uniform from Danvers State Hospital, once known as the Danvers Lunatic Asylum. On the campus of Regis College in Weston, you’ll find the Spellman Museum of Stamps & Postal History, one of only two public museums in the country devoted to the subject. Founded in 1960, it houses the collections of New York Archbishop Francis Cardinal Spellman and the National Philatelic Museum in Philadelphia. The museum has more than 2 million items, including stamps that once belonged to President Dwight D. Eisenhower and a Depression-era dress made of stamps on linen. The International Paper Museum in Brookline bills itself as having one of the largest collections of handmade toilet paper in the world. Watertown is home to the Plumbing Museum, which features an eclectic assortment of water heaters, sinks, pipes, bathtubs, and toilets. The museum is housed in an old ice house that dates to 1860. 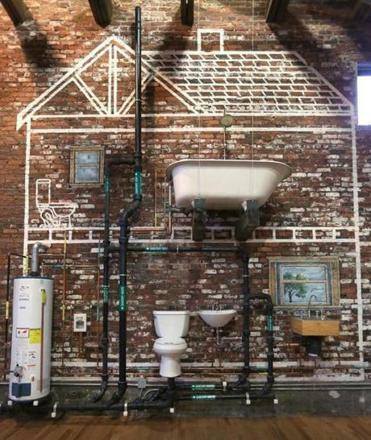 The exposed brick walls are adorned with pieces by Artists for Humanity, a Boston youth arts organization, and explanations of each item are posted on plungers. 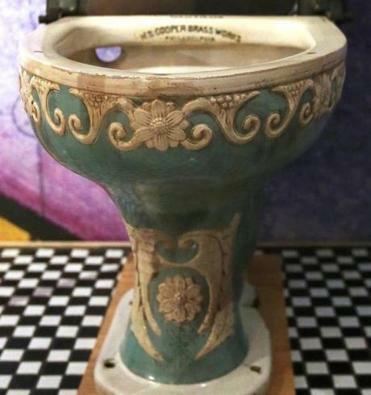 Among the many interesting items at the Plumbing Museum is a urinal designed specifically for women. The Museum of Bad Art, which for many years was housed in the basement of the Dedham Community Theatre, has moved to locations in Brookline and Somerville and gone international. A MOBA exhibition opened last month in Taiwan, and will be on display in Taipei’s 1914 Huashan Park until Feb. 16. Museums aren’t limited to brick-and-mortar buildings. On the Internet you can find visual and aural galleries and repositories of all sorts of things. The Air Sickness Bag Virtual Museum is the brainchild of Hull resident Steven J. Silberberg. The website features 2,000 images of barf bags from his personal collection. Another distinctive collection with local roots is the Burnt Food Museum . It was started by professional harpist Deborah Henson-Conant, who lives in Arlington, and has received a lot of press attention. The museum’s charred contents are stored at her home, but the collection is mainly available for viewing online at www.burntfoodmuseum.com. According to the website, a private tour of her museum in real life will cost you $1,500.